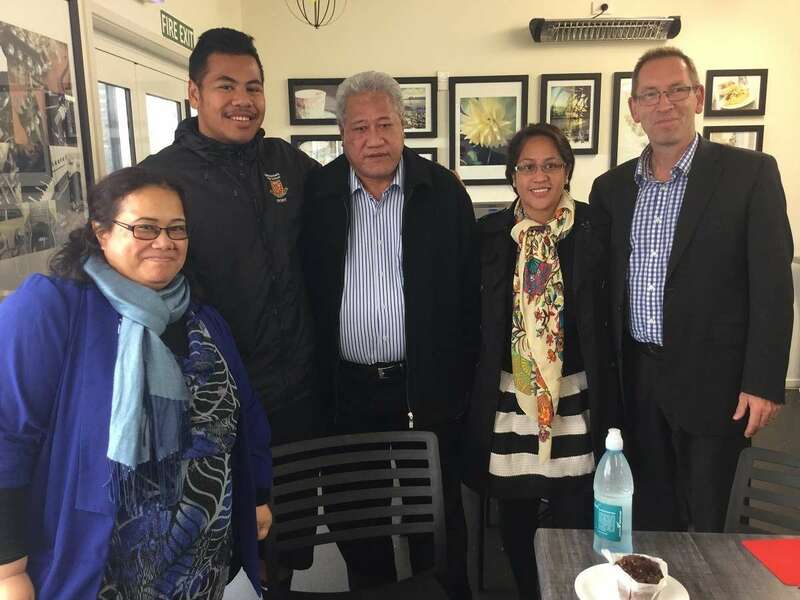 Lelevaga Kereta Petaia left home early one morning to shop at the local bakery, without his eftpos card. He got to the counter and realised his mistake. He was embarrassed and flustered, because the shop was full. 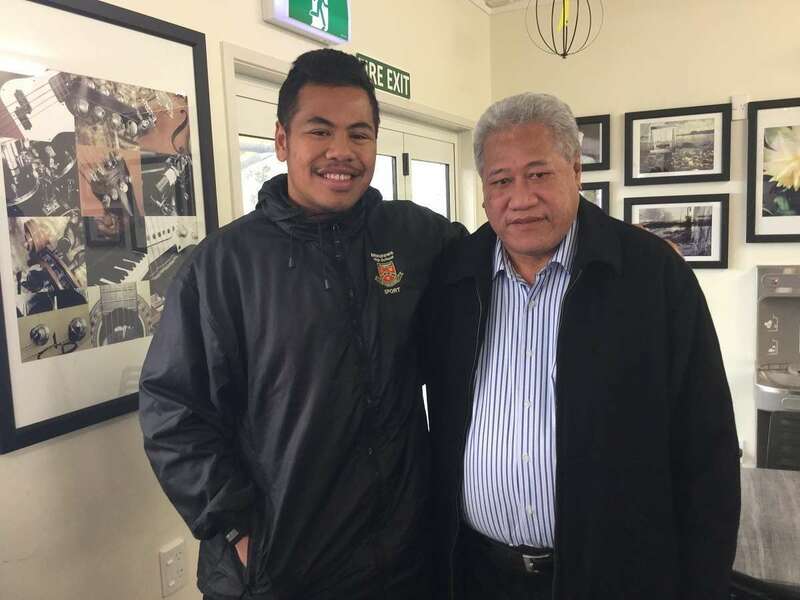 A student from Manurewa High School came to his rescue, paying for Mr Petaias goodies and leaving his own lunch items behind. The humble young man didnt give his name, so Mr Petaia sent an email to school - Subject: Thank You to the kind student at Manurewa High. 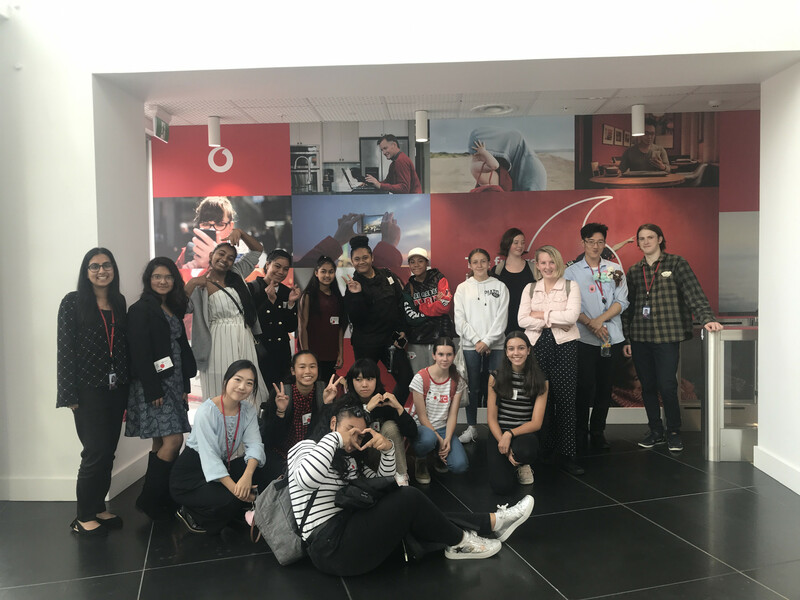 He explained about his exceptional experience, and asked if we could find the student so that he could thank him properly. The student was identified as Sonatane Kaufusi by some other students who were in the bakery at the time. Last week Sonatane and Mr Petaia met again in Salvatores Café, and discovered they have much in common in their love of performing music in their churches. Theyll catch up again. 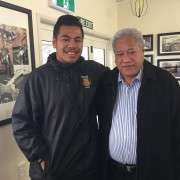 Mr Petaia wants to meet the parents who raised such a decent young man. Asked why he helped, Sonatane says hes been in that situation before with his father, and knows how it feels. 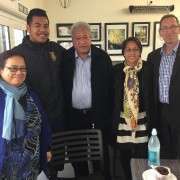 Mr Petaias children Craig and Etiana are past students of Manurewa High School. Craig, who finished in 2001, is a Team Leader at the BNZ, and Etiana (2002) is an Engineering Geologist, based in Hong Kong.